In case you haven't noticed, houseplants are having a moment in the sun. 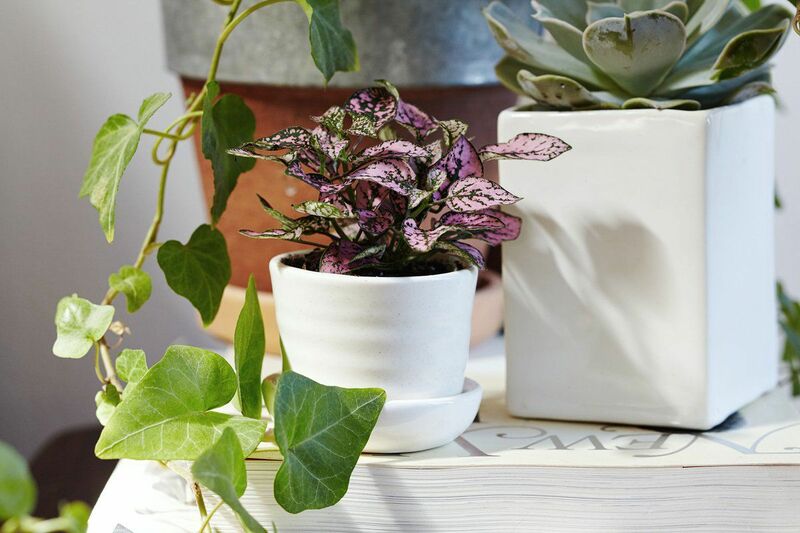 From dedicated Instagram accounts like @iplanteven to an absolute explosion of both online and brick-and-mortar shops dedicated exclusively to houseplants, these lively botanic accents are popping up everywhere. Driven by an uptick in green thumbs among millennials, it seems we're all feeling inspired to fill our homes and apartments with succulents, cacti, vines, and all manner of greenery. How much natural light do you have? While you might want to arrange a selection of succulents and cacti on your perfectly curated shelf, if you don't have tons of sunlight and a pretty dry atmosphere, they'll wilt and die. If you're lacking in light, opt for a zz plant or snake plant—which can still thrive in low light. What level of care are you prepared to offer? I hate to break your chic interior-loving heart, but Fiddle Leaf Figs are particular and tough to take care of, as nice as they look. But there are some plants that are just as stunning and way less work—like palms! However, if you're ready to take on gardening (or indoor gardening!) as a serious hobby, go wild with orchids, for example! What’s the reality of your living space? How much room do you have? Do you have a pet? How many floors can you realistically walk up with a 50 pound Monstera Deliciosa in your arms? Be honest with yourself about the size and number of plants you can realistically care for. No matter where you are on your plant parent journey, you can find the right tree, bush or vine for you online—and have it delivered right to your door! There are so many great places to buy plants online, and these are the best ones. 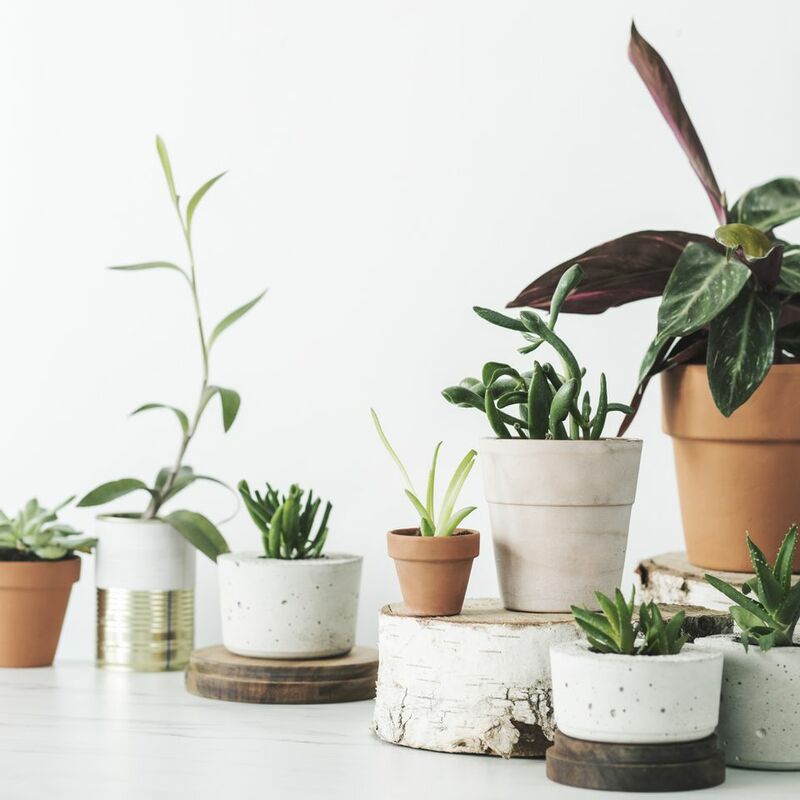 Between their approachable and helpful plant care tips to gorgeous photography and the easy-to-shop categories, there's a lot to love about shopping for plants from The Sill. What started as a small, stylish shop on Manhattan's Lower East Side has become a bit of a sensation among those aspiring to develop their green thumb and fill their home with Instagram-worthy house plants. Just because you can buy almost anything on Amazon doesn't mean it's all good. But we're here to tell you that the king of online shopping has a ton of great houseplants! Hirt's Gardens, Costa Farms, and others are reputable sellers where you can source sturdy and stylish plants like the Fiddle Leaf Fig, snake plant, Monstera, and more. Another specialty store we love, Greenery NYC is fairly new on the green scene. While they offer a range of plants just for New York City, they also ship plants around the US. What makes this online shop stand out to us is the mix-and-match capability—you can select a plant and then choose a unique planter to go with it that suits the aesthetic of your home. Plant prices start around $12, and they even offer same-day shipping if you live in NYC. The first thing you'll notice about Bloomscape is how fun and playful the shopping experience is. Filled with Matisse-esque illustrations, stylish video content and tons of helpful information to aid in your shopping experience—Bloomscape is approachable and informative. They have a range of plants of all different sizes and you can pick a terra cotta pot in one of five chic colors. They have everything you need for home projects, renovations, and upgrades inside and out. So why wouldn't they have a great selection of houseplants? Home Depot also has free delivery if you spend more than $45, and their online site has a large selection of plants you won't see in the brick-and-mortar locations. We wanted to highlight Horti because while you can purchase plants a la carte, its stand-out feature is actually a subscription service! You can choose between a variety of options for your plant deliveries, and Horti will ship you a new plant (or three) every month or every two months. This way you slowly build up your green thumb and your confidence in plant parenthood with each new arrival. Another big box option you shouldn't forget about when shopping for plants online is Jet.com. Just like Amazon, Jet offers a wide range of houseplants from reputable sellers and greenhouses like Costa Farms and Hirt's Gardens.